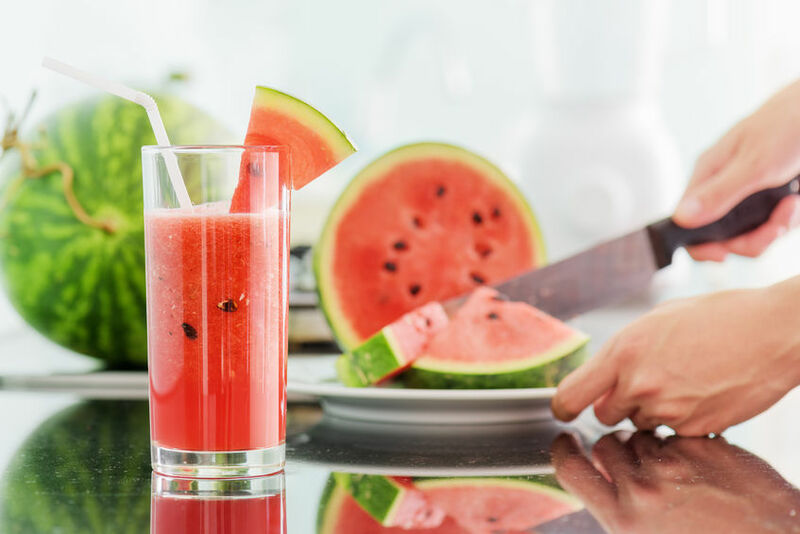 Summer season is in full bloom and with it comes long, sunny days and a delicious array of seasonal fruits and vegetables, bountiful during the summer months, that help cool your senses from the sweltering heat. Snacking: Slice watermelon into cubes and snack on them between meetings at the office, or consider adding them to your lunch salad. Watermelon also pairs well with feta or goat cheese, and some chefs add a dash of salt to counter its sweetness. Strawberries are a bona-fide superfood, packed with antioxidants. Rich in vitamin C, strawberries have been known to boost your immune system, help your skin look younger, and even help prevent cancer. They’re also high in fiber, potassium and folic acid. Snacking: Strawberries are delicious by themselves or tossed in a salad. They pair well with red meats and blue cheese, so consider making a tossed salad with fresh spinach, sliced marinated flank steak, strawberries, blue cheese and a light vinaigrette. Cherries are low in calories, high in fiber, and packed with powerful antioxidants to help prevent cancer and reduce inflammation. They’ve also been known to help you get a good night’s sleep and reduce belly fat — arguably two of their most significant health benefits. Snacking: Dark, ripe cherries are tart and sweet, making them perfect for relishes and even barbecue sauces. Consider slicing them up and making a salsa to complement your grilled meat. Like watermelon, cucumbers are over 90% water, so they’re sure to help you stay hydrated during the hot summer days. They’re also filled with nutrients – vitamin K, B vitamins, copper, potassium, vitamin C, and manganese. They’ve also renowned for helping to ease anxiety and stress, improve memory, and reducing your risk of cancer. Snacking: Consider replacing chips and crackers this summer with cucumber slices for your dips and cheese plates. Sliced cucumber and hummus also makes for a delicious afternoon snack. Fresh tomatoes should be enjoyed year-round, but they’re in abundance during the summer. One of the world’s healthiest foods, tomatoes are packed with vitamins and minerals such as vitamin A, vitamin K, vitamins B1, B3, B5, B6, B7, vitamin C, folate, iron, potassium, magnesium, chromium, choline, zinc, and phosphorus. They’re known to help prevent heart disease and promote healthy skin, hair and bones. Snacking: Use tomatoes for your summer salad base (instead of lettuce) and add sliced cucumbers, watermelon and feta cheese. Blackberries are low in calories, high in fiber, and rich in antioxidants, which help lower the risk of cancer. They promote heart and brain health and are an immunity-booster, to boot! Snacking: Add fresh blackberries to your iced tea at lunch or to a chilled glass of crisp white wine after work. Like strawberries and blackberries, raspberries are packed with antioxidants, and they’re also a rich source of vitamin C, manganese, and dietary fiber. They’re known to help with cancer prevention, cardiovascular health, and premature aging. Snacking: Same as blackberries! Add fresh raspberries to your iced tea at lunch or to a glass of white wine after work. They’re also excellent dipped in plain Greek yogurt. Peaches are rich in minerals such as calcium, potassium, magnesium, iron, manganese, phosphorous, zinc, and copper. They’re also thought to help relieve stress, reduce hair loss, and cleanse your kidneys and bladder. Snacking: Add peaches to yogurt or cottage cheese for a sweet and healthy snack. Grilled corn on the cob is a summer favorite; while most carbohydrate-rich vegetables have descended the food list or been completely removed, there are some health benefits to corn, since it is a slowly digested carbohydrate, rich in fiber and known to help control diabetes, prevent heart disease, and lower hypertension. Snacking: Add fresh corn to your salad for a little savory sweetness. Green beans are packed with vitamins and nutrients, including vitamins A, C and K, thiamin, riboflavin, iron, magnesium and potassium. Green beans are also rich in folates, which are good for pregnant women (or those trying to get pregnant), plus fiber, important for good digestive health. Snacking: Test out your culinary skills with an assortment of cold green bean salads this summer. Mix with your favorite savory ingredients – nuts, bacon, and herbs — for warm-weather palate-pleasers.